· To provide marketing students a comprehensive understanding of seasonal product marketing. 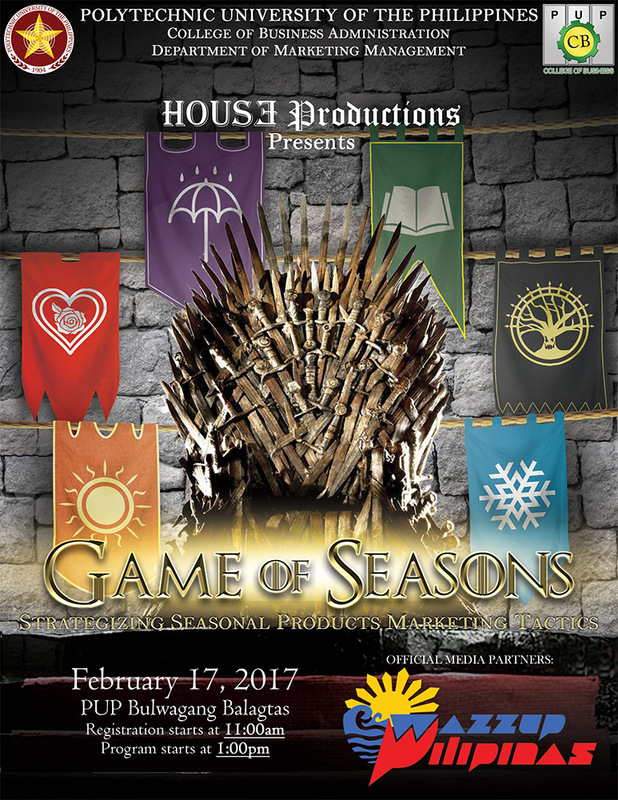 · To encourage students to implement seasonal product marketing as a business strategy. · To educate the audience through various speeches, presentations, and other activities from distinguished guest speakers/corporate partners. This seminar will inform marketers how different products strategize their tactics upon demands every season and show how the corporate world really works from professional guest speakers from leading brands and companies from different product industries in the Philippine market. To help them pursue their marketing career and give them significant marketing knowledge that may help them in whatever marketing path they will take after graduation. The registration will start at 11:00 AM until 12:59 PM and followed by the event proper at 1:00 PM until 5:00 PM. Specifically, this seminar plans to invite a total of 800 student attendees from the Marketing Department including the faculties, alumnus of the department, guest speakers, corporate partners as well as students from other College and Universities inside Metro Manila. The House Productions, is a service-oriented and non-profit organization are required to promote academic excellence and competence to our fellow PUP marketing students with a total population 1800 students and among the business related.